Exploring the "Lore of Nutrition"
You’ve convinced me to read the book! I had followed the trial and was so appalled that Dr. Noakes was on trial for his opinions which he expressed on social media. You do that too! I have been on a ketogenic diet for 4 years and haven’t felt this good in a very long time as well I’ve lost 35 pounds and kept it off. Thanks for this post, Doc! Great how you’ve managed to improve your health. Congrats. You’re absolutely right. There was a mixup with the letters, my bad. It’s been fixed now. Thanks for reading so thoroughly. Thanks for helping us all to stay informed Dr Sigurdsson. It takes time, effort, deep analysis and courage to seek, wade through, consider and report on these matters and what we can do to best take care of ourselves and each other. So thank YOU. Thanks Doc. Noakes is always an interesting read, in particular his early work on sports drinks and their place in long term endurance events (he is very critical of them and the data supporting their use). In the dietray domain I feel he let’s himself down. Often he presents in the first person and uses ancedotes on occassion which are the lowest form of evidence available. Its important to dissect ‘fats’ as they can’t be lumped together just like ‘carbs’ are incredibly variable. No-one argues that fish oils and tran-fats are both fats, but clearly have different effects within our bodies. To suggest that fructose and complex carbs e.g.fibre within oats should be lumped together is simplistic. Both camps (LCHF/HFLC) have elemenst of truth and have more in common than they care to admit: Fruit, vegetables, lean meats, fish are probably ‘good.’ How do you define ‘good?” Trans fats-poisonous, dairy-debateable, added sugars-fructose in particular, bad. Complex carbs-ok, depending on your insulin sensitivy…. Thanks for an insightful comment Neil. Just a quick ‘Thank you!’ Alex. I continue to read and very much enjoy your blog. 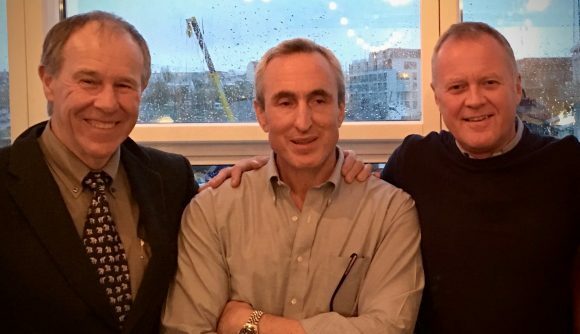 Like Neil Jarvis posting below, I remain on the alert for analysis that provides greater break-down of broad food groups (carbohydrates, fats) with discussion of the varying effects of the (many!) sub-categories; will I find that sort of discussion in this book? In any event, thank you again, very much, for your efforts to keep the ‘bright white light of evidence’ (an expression I liked from my years in the law) on our constant search for health-related information and developments. 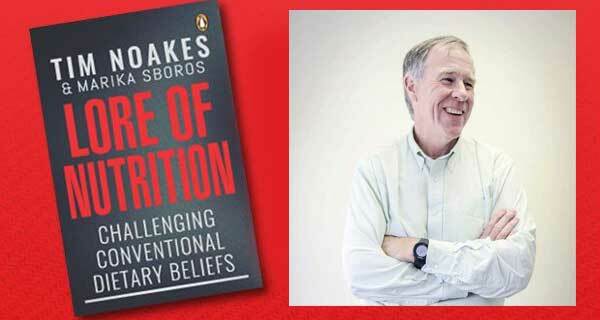 Noakes doesn’t seem to be particularly interested in the breakdown of carbohydrates. He just wants as little of them as possible. However, he’s mainly promoting that approach for people with insulin resistance (IR) and not necessarily the general population. So, his message is no carbs or very small amounts for those with IR. But maybe the types of carbs become important for the rest. At least most of us tend to think so. I’m half-ways through the book, Axel. It’s a slow read for me as I’m not skim reading. I think it’s great. I agree with one criticism, which is giving credence to people like Perlmutter and Mercola. It isn’t that much of what they say is correct, or probably correct, but it’s untested, and some of Mercola’s stuff is just quackery. Now, when you’re trying to promote a lifestyle change, which for me has been extremely successful (I’m the same height as Tim, was the same weight as he was and am now the same weight as he is! ), the temptation is to seek all the publicity you can get, and Mercola has huge exposure, but I think it’s a bad idea. You should stay 100% scientific. Otherwise you’re open to attack. Mind you, many of those who attack Tim, should take a dispassionate look at the evidence they have for their diet (mostly none), before criticising him. You’re right. Of course the quality of evidence may vary and there’s always a risk than one uses cherry picking to promote a concept. That’s something we have to live with and try to see through. I completely agree about your take on Perlmutter and Mercola. Indeed. The story is that there’s plenty of pseudoscience around and the message is to exercise critical thinking. Just by looking at your review with selected quotes, one can easily see Noakes’ myth-making in action. Statin denialism and insulin fantasies. Nothing new, that is. And I know you have many sympathizers. I suppose so. There are many people who value critical thinking and abhor ideological nonsense. Then there are those who call nonsense “honesty” and “bravery”. Yes. We live in a cruel world don’t we. What does the author mean statins have not been proven in primary prevention? Just look at WOSCOPS and 20-Year follow-up. These 6,500 Scottish men (I am 25 % Scottish) has tremendous benefit from Statin use in primary prevention. They all had similar lipid profiles to me with average ldl-c of 177. That said, statins are not a magic bullet for everyone to take, but I think they are worth the risk in middle aged men with hypercholestremia. WOSCOPS proves it!! Hi David. It refers to the lack of effect on all cause mortality in randomized trials of statin treatment in primary prevention. Now, if all you have is slightly elevated LDL-cholesterol and normal HSCRP then statins might not be good for you. But, it seems to me that folks with very elevated ldl-c the risk of taking statins is outweighed by the benefits……. For those of us with genetic cholesterol problems diet can only help so much!